Discussion in 'Touring and Adventure Cycling' started by Lenny, 3 Dec 2007. 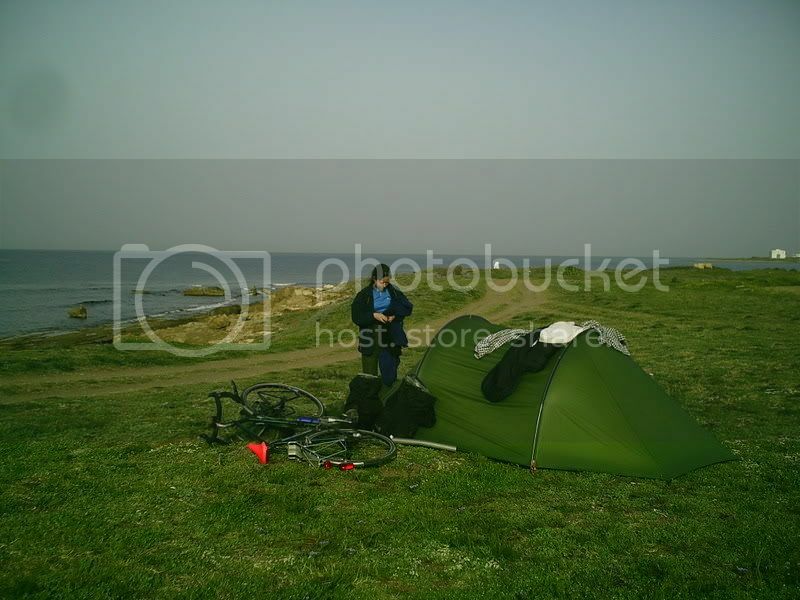 I'm currently looking for a tent for cycle touring. I need something for four seasons, 2-3 person, that is reasonably light (though I'm not a lightweight freak). I'm planning to do some touring in the Rockies next summer, so I really need something that can hold up in potentially serious weather. Does anyone have any suggestions? The Hilleberg Nammath and Nallo have been suggested to me - they are quite expensive though. My biggest issue is that while I could probably afford a serious expedition tent like a Nammatj come next summer, I have a few trips planned early in the new year and need a new tent NOW. So I have two options: Buy one tent now and one later, or try to find something within my budget now that will work well in all weather and last a long time. I'm a total novice when it comes to tent purchasing, so looking at specs on websites means almost nothing to me. Some of these Vango tents are within my price range - does anyone have any experience of them? If it's a case though that I'd better off waiting until I can afford a serious tent such as a Hilleberg, I'll be looking for a good four season tent that's up to dealing with UK weather. Again, suggestions here would be really appreciated. PS I've stuck this up on BikeRadar as well, thought I should mention that. But not from me I'm afraid as I'm a tent numpty. Our tent is bigger than our flat and weighs a ton but we love it anyway. Sorry I can't be more help. I do like this place better, it feels much cosy and homlier. It just seems big and empty and cold over there (I'm not posting this part on BR too!). I ended up buying a Nallo 2 GT and footprint after thinking long and hard about whether I could justify the price. I don't have any experience of similar styled cheaper tents, but I can say that the Hilleberg is truly a beautiful tent. Very light, dries amazingly quickly etc etc. It coped with some pretty serious wind and rain perfectly, as you'd expect, and it's nice to crawl into a tent that we have complete faith in on our tours. You may be able to save a couple of hundred quid and still have a fantastic tent, I don't know, but for the price of a couple of good nights out I reckon it's worth buying the best. I have a Vango Micro 200 and a Vango Tempest 200. The Tempest would be a great tent for cycle camping. Vangos are well made and good value for money. My only criticisms of it are that it wouldn't be great in high winds (i.e. 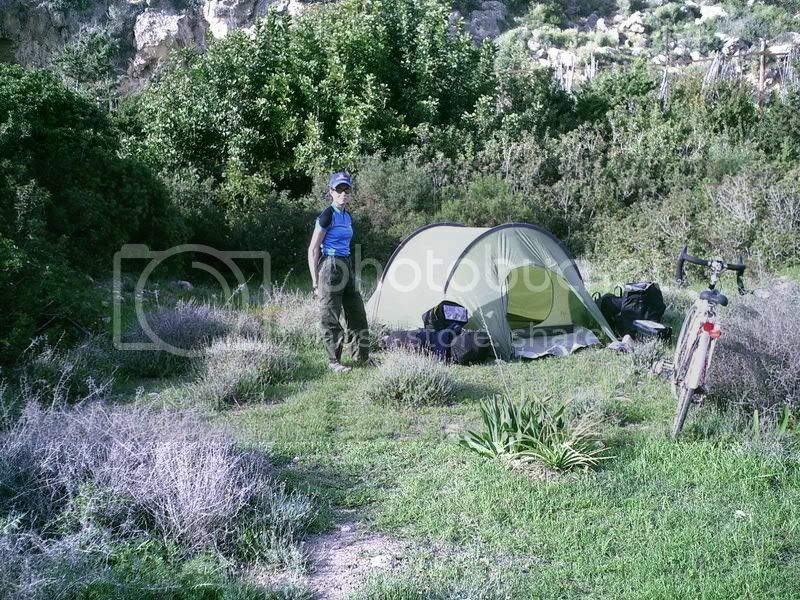 wild camping in mountainous areas) due to it's tunnel construction as opposed to semi geodesic. Also, the inner door is mesh only so not as warm as a two layer door. Also look at Wild Country tents as they are usually good value too. Definitely either buy (or make your own) footprint too. 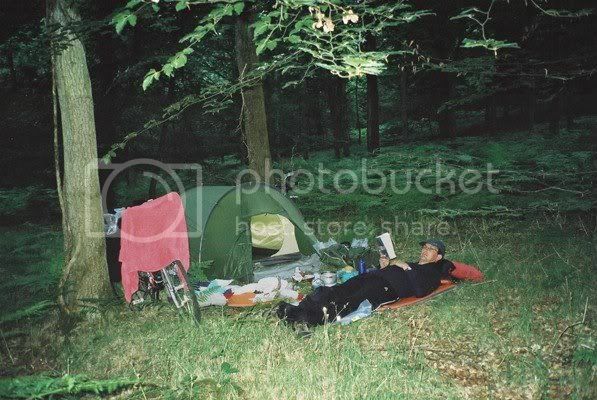 My knowledge only really extends to small one man 'spring/summer' tents unfortunately. ...how about asking some local cyclists over in the USA, there must be peeps who can tell you what tent they are using in the rockies? At the time of buying I did loads of research as I really wanted a decent amount of about headroom when sitting/kneeling, good legroom when stretched out and porch for cooking/storage. It's been (and still is) a fantastic tent, especially for what you're looking to do. Well made, stable in a strong wind and weatherproof with loads of space for the weight (c.3kg). The Scirocco was marketed as a 2/3 man tent but I believe there is also a smaller version. I started off with a second hand Vango, it did not cost much, did the job and helped me to realise what I really wanted from a tent. After a while I went on to buy a ....goes away to look at tent in loft.............a Terra Nova. It suited me so well that after some fairly rugged usage I bought another. It is difficult to advise others, we all set out our likes and dislikes in a different order, so my advice is start off with a second hand, or shop soiled,tent. I use a Hileberg Nallo GT and must say its worth every penny. I would'nt buy two tents, just get a good one that you can afford. If funds are a problem have a look here for a good ten (Exped), of same quality as Hileberg but less in price. A friend of mine has an Exped and is over the moon, used it in New Zealand and is very happy. I have been in the Igloo version of these without any trouble in Wales mid winter in a snow storm, and North England in gales that were flattening almost every other tent. The Biker version packs down to 60cm x 20cm, and weighs in at 6kg. No lightweight, but easy to live with and reasonably solid. 6kg though! The Vango Tempest only weighs 2.7 kg according to the web and I picked up mine for £80. To the original poster, you need to decide how much wear and tear you think you will put your tent through and how extreme the conditions you are likely to encounter. If you intend camping on mountain sides in winter the you will need a strong windproof construction, probably with overlapping poles in a semi geodesic design. You will want the flysheet to hug the ground so that the wind cannot get underneath the fly. You will definitely want Easton alloy, or similar, poles. The design should have no horizonatl areas so that it will sehd snow. This tent will probably not be particularly lighweight. At the other extra a simple dome tent for £40 from Millets will be fine on camp sites for 90% of the time! Also, very lightweight tents tend to have goassmer like groundsheets which may not be very suitable if you intend giving the tent a lot of hammmer. Tunnel tents give a lot of space for tent weight but are slightly less stable in high winds (potentially high winds - i.e. gale force are the thing most likely to destroy a less capable tent and usually the reason why a tent manufacturer might say a tent is only suitable for valley use). Having said that, a well pitched tunnel will stand up to a lot (for example the Macpac Minaret is viewed as an all season tent but is of tunnel construction). Vango's TBS system will stiffen up the tent a lot too. If you are tall (6ft plus) many tents are uncomfortable short and low. Also beware as some tents dimensions are misleading (i.e. lies!). As I said before, I thoroughly recommend the Vango Tempest as it is cheap, well made will alloy poles, good pegs, solid construction,and light. But there are other good, cheap tents about too. Also, paying a lot for a tent is no guarantee of quality. A friend of mine has a TNF Tadpole which leaks like a sieve to extent of having rivers running across the groundsheet in heavy rain. Hillebergs have a good rep, it just depends if you think you will get your money's worth out of the tent. I suppose I am a cheapskate really! Yes, 6kgs They do lighter ones, but I prefer a more solid tent. Yes, agree about price and quality. Some tents I have seen are great right up to the time it rains, then they are useless. The last thing you need. Me and the missus use a Vaude Ferret I ultralight. Very satisfactory and only 2 kg. Needs a footprint, though. Official price is about £250, but you can find it cheaper than that if you shop around, particularly if you buy in Europe rather than UK. Other tents, of which we have no experience, are available. But we'd reccommend this one. Terra Nova make excellent tents, although it should be noted that the clearance model listed above is grade 'c'. I couldn't find what that means but it definitely isn't as new and isn't covered by their extended warranty. Mind you, it is massively reduced. For the info of the OP, Terra Nova and Wild Country are the same company. WC tents are made from slightly inferior materials and use trickle down technology from the TN tents. But they are loads cheaper!